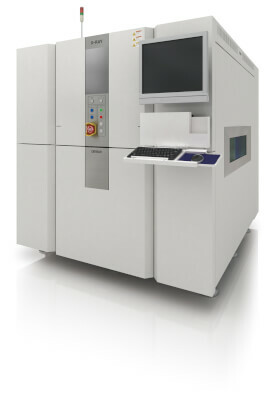 VT-X750, the world's fastest AXI machine to utilise Computed Tomography (3D-CT) as its core of image and inspection quality. Dense and dual sided board design can provide challenges for X-Ray inspection. However, Omron's 3D-CT technology can overcome such design restraints. The VT-X750 also offers the possibility to inspection XL board up to 610 x 515mm for a foot print of nearly 50% less than other Large Size AXI machines with only 2.99m2.